Impact crusher is a high efficiency rock crushing equipment, which works with the working principle of materials mutual striking. 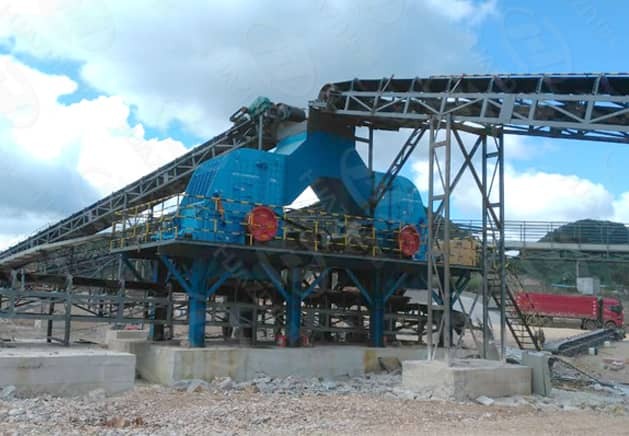 Compared with other crushers, it has large crushing ratio at the same time, simplifies the whole crushing process, and the produced products has high content of cubic particle. The main spare parts of impact crusher include machine body, impacting plate, hammer plate, linear plate and so on. The rotor of impact crusher is composed of frame, main shaft, plate hammer and other clamping device. Main shaft is the key part which bears the impacting force; therefore, the materials required for the machine should have high toughness and intensity.